A native of New Jersey, Shyam found his way down to Tallahassee in 2004 and has never looked back. After earning his Bachelor’s and Master’s degree from Florida State University he has found himself home for good in the Big Bend. 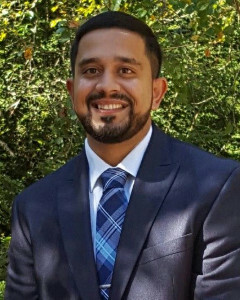 As a passionate and dedicated Program Director of Criminal Justice for a local college and a leader in the community, Shyam has been educating, developing, and leading men and women into careers that serve the public for the last five years. He now looks to use his expertise in communication, due diligence, investigative skills, and pure passion to the assist the community in the buying, selling, and investing of real estate properties in the most pristine areas of Florida. He promises to provide you with a level of respect and service that will be unmatched. If you seek a Realtor that is professional, dedicated, educated, passionate, and honest then Shyam is your man.